Dubai, UAE, August 02, 2018: Finding a great gym or workout class in Dubai can be quite overwhelming with all of the countless options that are available. With the endless offerings to try, it’s important to opt for a fitness studio that makes you feel comfortable, motivated and has you wanting to go back for more. Reform Athletica, the fitness boutique studio located in Jumeirah 1, has you covered and prides themselves in offering the best fitness classes in town. 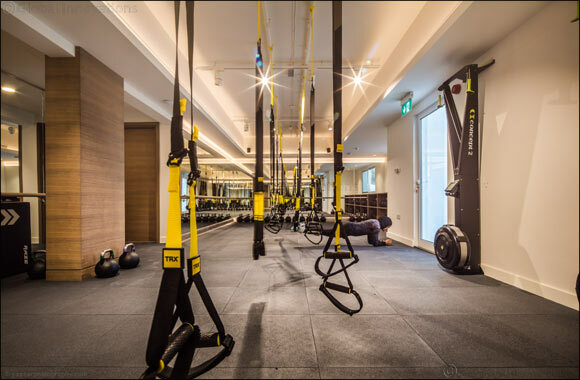 The one-of-a kind fitness studio differentiates itself from other workout options in the mar-ket with a brand philosophy of offering ‘accessible fitness for all’ and focuses on the mainte-nance of fitness at all stages of life as an enjoyable part of a regular workout routine. Their signature classes are designed to effectively combine strength, endurance, cardio and flexi-bility training, resulting in a full body workout in every session. Each signature class is structured to provide maximum results in minimum time with a holis-tic approach and are taught by some of the most inspiring fitness coaches from around the world. Challenging the conventional modes of exercising with their unique theories of movement and the combination of different fitness disciplines, customers will leave the Re-form Athletica fitness studio feeling their very best. Reform Method: Reform Athletica’s signature Pilates-inspired low impact class. This class takes you through 50 minutes of strength and conditioning exercises performed on the latest Lagree Megaformer machine – originating from Los Angeles, incorporating Pilates and gymnastics inspired movements. It delivers a challenging full-body workout that is low im-pact by design, so it’s ideal for every level of fitness. Classes are taught in a high-energy atmosphere to motivating music, focusing on core strength, muscle strengthening and flexibility. TRX Athletica: Reform Athletica’s signature high intensity class. This class is based on the TRX suspension trainer, providing a challenging and fun, full-body workout. TRX suspension trainer, which is probably the most versatile tool to hit the fitness market. Incorporating ath-letic based strength and conditioning exercises, the class includes body weight drills, as well as the use of weights and other tools to further challenge clients to take their fitness to the next level and boost their overall calorie burn and development. Regardless of your fitness level, the professional trainers at Reform provide quality coaching and an overall wellness approach to the developing Dubai fitness scene. Book an awesome class today with our incredible trainers. Classes start from AED 130. With packages availa-ble, including a 40-class package for 4,200 AED that is valid for 12 months.